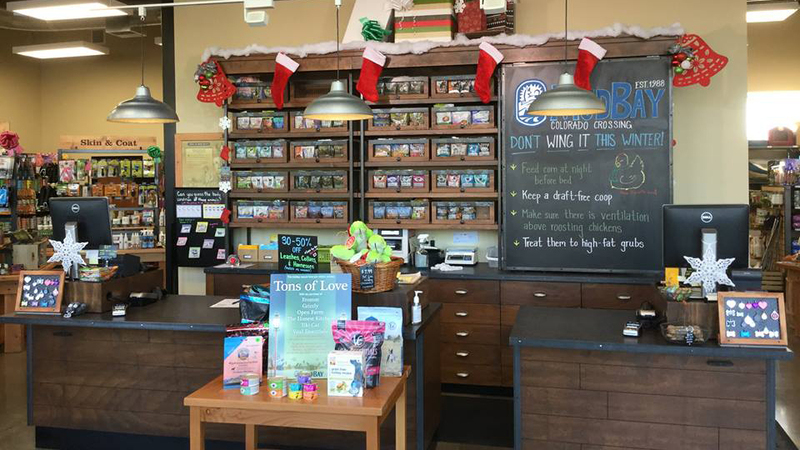 Located in the Colorado Crossing development on Bend’s Westside just off the Parkway, Mud Bay, a Pacific Northwest-based pet store, offers healthy and natural nutrition for the four-legged members of your family. This family and friend-owned business invites you to stop in for a free customized nutrition plan for your cat or dog. Rather than a pet store that stocks everything for every species, Mud Bay is focused on using natural food and accurate information for their customers to contribute to the health of dogs and cats in the community, and the happiness of the people who care for them. Each month, they find new, well-made food, treats, toys, and natural supplies for dogs and cats, many from small cottage industries and many made within the Northwest. They’re open daily until at least 7:30 p.m. to ensure even those with busy schedules have time to get the information and products they need.